Tightly wrapped packages loaded with marijuana are turning up on the beaches near Dubrovnik and the surrounding islands and nobody has a clue where they came from. Citizens and tourists residing on the Adriatic Sea coast might have been in for a surprise these days, as a large amount of marijuana washed out on the shore during one of the strangest incidents in recent memory. 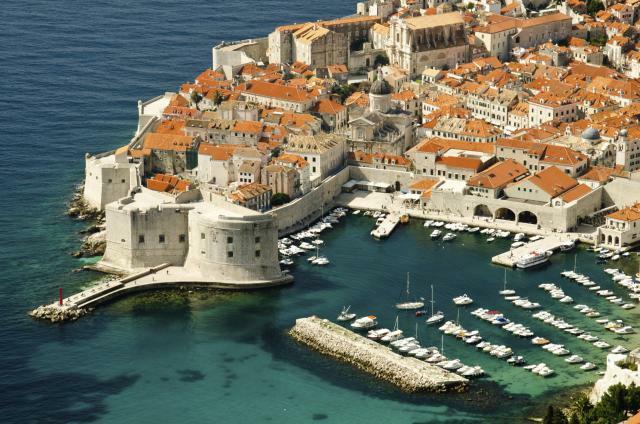 The area around the historical town of Dubrovnik was completely overwhelmed by seaborne packages of marijuana randomly showing up practically everywhere. Alerted to the situation by confused locals, the authorities set out to collect the illegal cargo and picked up an amazing 267 kilograms of weed from all over the region. Maritime Police discovered similar-looking packages (eleven of them in total) in the vicinity of several islands, including Lastovo, Korcula, Lokum and Mljet. It looks obvious that a large drug shipment has gone astray and was dumped into the sea either intentionally or by accident, but the real puzzle is how it all happened. Aside from fishing out the weed, the police didn’t come up with too many clues about the responsible parties and has not named any suspects. This region is generally not known for marijuana production, so it is unlikely that the shipment originated from Croatia or was even intended for its market. More probably, it was marijuana from Albania or Montenegro that was headed across the sea towards Italy and Western Europe that somehow fell into the water, possibly during a storm. Smugglers of various nationalities are frequently traversing the Adriatic on fast boats, carrying drugs and other types of contraband across the narrow waterway. Of course, nobody stepped up to claim ownership of the marijuana, so the mystery might remain unresolved. While 267 kilograms recovered by the police is a truly impressive haul, it is unclear how much weed ended up in the sea in the first place – some packages might have been destroyed or found by the unofficial search parties. .Marijuana was professionally packaged in nylon and duct tape, and some of the product might have been salvageable for later use. That’s why the authorities will be keeping watch over the local marijuana market in the coming months, looking if some of the flotsam finds its way to Dubrovnik or some of the small communities located on the nearby coast. Hehehe…this is so true. Fishermans ware so happy LOL 😀 Probbably, weed coms from Albania, and something scared them so they just throw all they got.